I am trying to replace my current insteon setup. I have a wall box with a switch. But the load goes to an outlet nowhere near what I want to use. So I tied the load to hot to make that outlet always on. Then I put in a insteon switch and didn’t hook anything to the hot lead. Then I used a lamp module on the lamp. I just programmed the switch to control the lamp. Now I have a smarthings hub, a ge in-wall switch (12729) and a GE smart dimmer (lamp module type thing, 12718). One trick is that the room in question is at the opposite end of the house as the hub. So I don’t know how I could pair it to the hub. And without that, I don’t see how I could tell the whole system that when the switch is clicked, the lamp module should turn on… Seems like in theory it might be possible to convince the hub to to receive the switch click as an event and in turn tell the lamp module to turn on. But with the hub out of range that seems like it won’t work even if I could get it paired. How far is the switch from the dimmer? I never pair my devices 10 feet from the hub. I always pair in place. If the switch can reach the dimmer and the dimmer can reach the hub, the switch can reach the hub. Might take a little while, but it should work. It can work for Z wave plus devices, but for the older Z wave classic devices, it would be very common that it was more than one hop from the hub and so could not be paired, but that after initial “bench pairing” (close to the hub), it would recognize the other repeaters on the network and so you could place it much farther away. Zwave plus devices can more successfully pair in place, so it depends in part on the specific brand and model of the devices on the network. So I don’t know how I could pair it to the hub. Go get a long cable. I had to do that for my setup in garage for my first device out there. I have had to temporarily move my Hub closer for pairing a couple of times. I could use a long cable to pair it. But after I pair it, I assume the switch sends a signal to the hub which converts that to a signal to the dimmer. If that is right it won’t work after pairing. Does it work that way? Just go ahead and install the switch and try to pair it. It should pair just fine. If not you are going to need to move the hub or invest in a bigger zwave network. Then pair the dimmer. I would pair in place, but its a plug in so you could probably move it close to the hub. There are two kinds of devices on the mesh: those that can repeat, and those that cannot. Most mains-powered devices can repeat, including both the dimmer module and the switch. Most battery powered devices do not repeat because it would use up too much battery life. Many things can degrade signal strength, including foil insulation inside a wall, large metal objects like a refrigerator, water pipes, Concrete, etc. The usual rule of thumb for a typical American home is that classic zwave can travel about 40 feet and zwave plus can travel about 60. The signals are omnidirectional, meaning 360°. The Hub will send out a signal as far as it can, around 60 feet, since it is a zwave plus device. At that point, one of the devices that repeats will pick up the message and relay it on to the next group of devices that are more than one hop from the hub. This continues for up to four hops until the message reaches its ultimate destination. You need to lay out the “backbone” of your network (the devices capable of repeating) so that there is at least one relay path from the hub to every device, both the ones which can repeat and the ones which cannot. So assume the hub can send a message about 60 feet, unless you happen to live in an Adobe or Brick house. If it reaches one of your devices in that range, then that one can pass on the message another 40 feet to your other device. You the human don’t have to do anything to make that happen, it happens automatically with mesh. Is there a way to create an all-around "z-wave presence" in my 4000 sq ft home? My home is not just a two story block home. It is a one story, spread out "ranch style", so it really covers 4,000 sq ft on horizontal terrain. What I want to do is create a z-wave mesh that is available anywhere in my home, similar to my WiFi system. (In the WiFi case, I simply distributed Unifi AP-Pro's throughout the home so that all spaces are covered.) So . . . how can I do something similar with Z-wave? I don't want to worry about NOT having a Z-Wave signal available. I just want it to be there when/if I need it. Any suggestions and/or words of wisdom? We should also mention that you can do network inclusion/exclusion with a minimote as well, and you can typically find one of these for under $25 if you shop around. The inclusion is just an administrative function, so you can also use the same device as a handheld remote for normal functions. The minimote is very popular for this reason, because it’s helpful for including wired switches. It’s less necessary than it used to be because of the Z wave plus improvements for in place pairing, but just something to know. I actually do have a minimote as well. So I guess I could use that to help out the initial pairing. And I know I will have to get some kind of extender or what not for the middle of the path, as I have another lamp module already set up, and in use with the minimote directly. But the hub can’t reach that far. Probably too many walls. So then just one academic question left. Once the switch is setup. Does it talk directly to the dimmer, or does the hub have to be involved to translate? They are both Z wave devices, so they can talk directly to each other, but the answer is actually a little more complicated than that. As long as they are within one hop of each other, they can each pass messages along for the other, as they are both repeating devices. Normally in SmartThings you would have the wall switch talk to the hub and then the hub talk to the pocket socket dimmer. There is another method with 2 z wave devices called “direct association” where you can set them up to talk directly to each other rather than going through the hub first, but we don’t typically do that in SmartThings because if you do it that way, the hub can lose track of what the status is of each device, which can then mess up some other things. The Ability to support direct Association is optional in zwave classic, so you just have to look at the specifications for each device to see if they support it or not. I just don’t remember for those two particular models. Again, you don’t typically use that feature in a SmartThings installation. This could create the situation where the switch passes a message to the pocket socket which passes it to the hub which decides that means the pocket socket should be turned on, and the hub then sends the on command back to the pocket socket. Because if the first message has the hub as its destination, the pocket socket won’t read it when it receives it for repeating, it just reads enough to know the destination and pass it on. But typically that doesn’t add another lag that you would even notice that it happened. Did that answer the question? Yeah. I should have realized that to. Just trying to wrap my head around how all this is intended to work. Then it will make more sense. I will get myself some kind of repeater and set it up the right way. 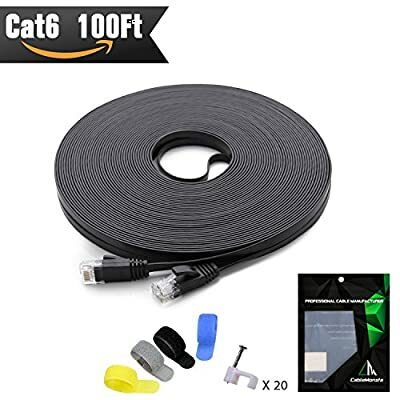 Then I will be able to change my minimote to not be using direct association (which I now know it is… ) And I ordered 50’ of ether net so I can get the hub nice and close for easy pairing. If you have the minimote, you can just use that to do the pairing for everything except locks. You Don’t need the cable. yeah, I have another need for the cable too, so it can do double duty. And the trick about the repeater will be finding something simple that my wife won’t complain about being ugly. Might do an outlet, even though there won’t be anything plugged into it. Got the kids rooms and the guest room between the hub and the master. The kids are too young to handle the complex dimming, they have manual dimmers in their rooms. But an outlet or two would be non-ugly and get the job done. Thanks again for all the help. Make sure you read the following FAQ, it should answer a lot of questions.